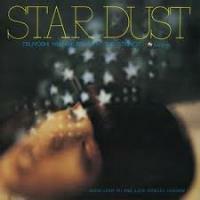 Stardust is the eighth album by pianist Tsuyoshi Yamamoto released by the Three Blind Mice label. Virtually unknown when he made his first recording in 1974, he had become one of the most popular jazz pianists by the time of this romantic "with strings" album was recorded in 1977. This album was also made in tribute to the legendary jazz pianist Erroll Garner who passed away earlier in the year. Appropriate for the occasion, it is Yamamoto's gorgeous and grand-sounding piano that is featured front and center. The tasteful strings arrangements are by jazz guitarist Shoji Yokouchi. This is another great piano album and a must-have item for fans of Tsuyoshi Yamamoto! Recorded at Aoi Studio, Tokyo on August 2, 3 and 18, 1977. Blu-spec CD is compatible with all regular CD players. Paper sleeve special limited edition.